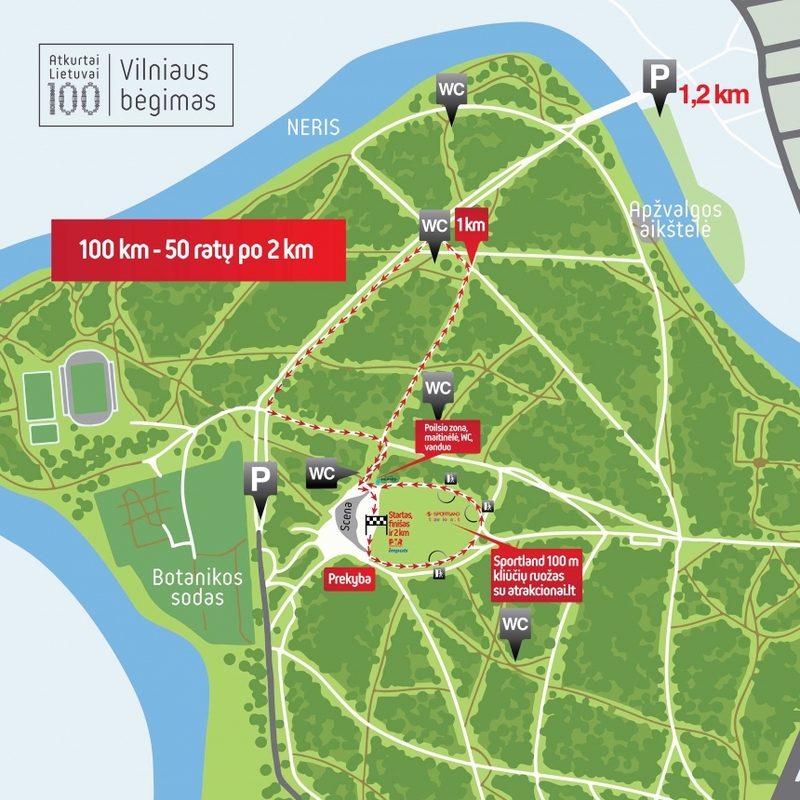 The technical meeting of the participants of Vilnius 100 km Running event is due to take place on Friday, 13th July, from 7.00 PM to 8.00 PM at Sportland store, located in Vilnius, Gedimino av. 20. There the route, the motion of the event and other questions are going to be discussed. Start and finish in front of Vingis Park's stage.